In this bowl turning demonstration, I’ll show a couple of jigs for processing logs at the bandsaw. Then I’ll show a couple of different methods of holding blanks on the lathe for traditional and natural edge bowls. I will also show different tools used to make essential cuts in the wood. Bowl turning is fun and easy. I enjoy the fluid movements and relaxation I get out of turning a bowl. Since the club is asking everyone to help create bowls for the ‘Empty Bowls’ project I thought this would be a good demo topic. I started woodworking in the early 1990’s making furniture and built-in cabinets for our home. I bought my first lathe in 2002 and was self-taught for the first couple of years. I then got involved with the Dallas Area Woodturners (DAW) club and the American Association of Woodturners, which was a big help in exposing me to all kinds of turning and training. I am now the treasurer for the DAW club and will continue to serve on the board for the next few years. I am also the Vice Chair on the City of Allen Public Art Committee. 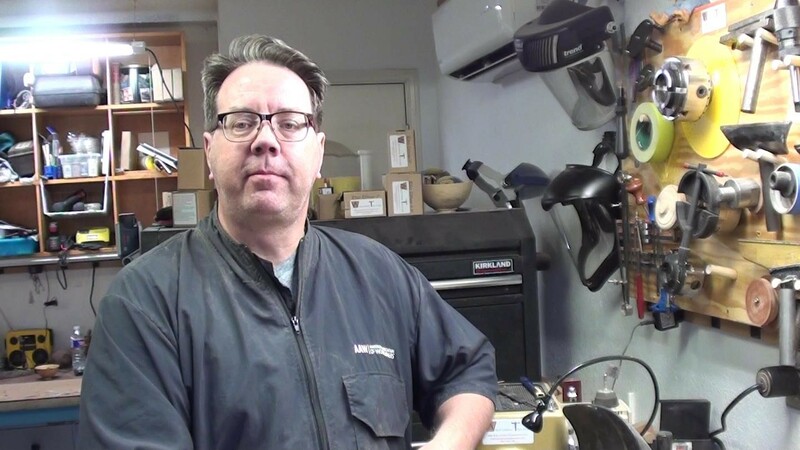 After being in the tech industry for 23 years, I now own and operate the Woodturning Tool Store, an online retailer dedicated to providing quality tools and equipment to the wood turning community.